the xray doctor: xrayoftheweek 27: where is the pathology? xrayoftheweek 27: where is the pathology? 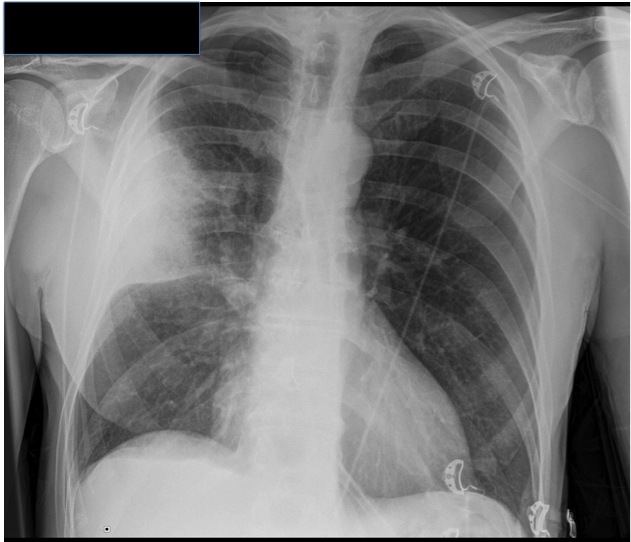 This week's #xrayoftheweek is one for non-radiologists - there is airspace opacification on this chest x-ray (the shadowing in the right lung). 1. which lobe is it in? 1. 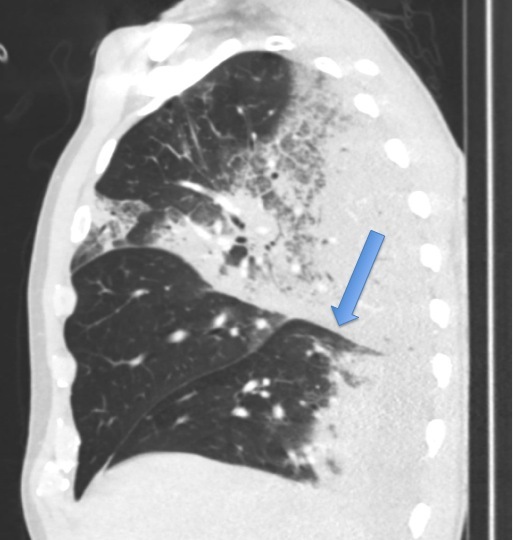 The airspace opacification (due to pneumonia) is in the right UPPER lobe. The arrow points to the horizontal fissure which separates the right UPPER from the middle and lower lobes. The oblique fissure lies between the middle and lower lobes. Sometimes pleural fluid can be present within these fissures ("encysted pleural effusions") - knowing the position of the fissures can help identify these effusions. Learning point: knowing where the fissures lie can help identify which lobe a pathological process is located in.